This year the Association of Professional Patrollers (APP) celebrates its 50th Anniversary, which means this year’s APP Annual Conference will be one to remember. 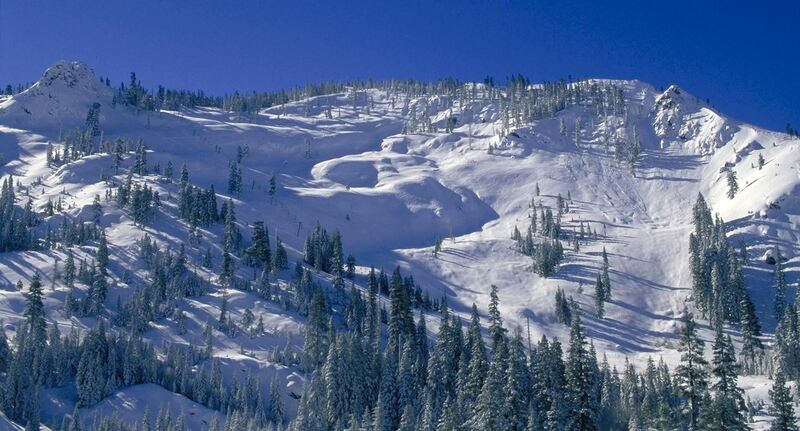 Bear Valley Mountain Resort, located in the central Sierra Nevada mountain range, will host the five-day conference starting Monday, April 22, 2019. And if location alone isn’t enough to incentivize you to attend, here are our top 5 reasons to attend this year’s conference! Networking – The Annual Conference is a great opportunity to meet patrollers from other ski areas, both paid and volunteer. Patrol Directors, Assistant Directors and Supervisors from patrols also attend (Hint: If you’re looking to explore other patrol opportunities for next season, you need to be there). It’s also awesome to meet and talk with like-minded professionals with the Sierra Nevada mountains as your backdrop! Location, Location, Location (Bear Valley Mountain Resort, Calif.) – It bears repeating! If you haven’t had the opportunity to ski or ride this hidden gem, now is the time! While the Resort is closing Sunday, April 21st, they’ve agreed to reopen a few chairlifts for our Annual Conference starting Monday, April 22 through Friday, April 26.This means you get to ride at an amazing resort with just other attendees at the Conference. Tickets are only $15 per day, or $60 for all five days! Education and Forums – There will be a variety of educational opportunities no matter what your interests are including risk management, rope rescue, avalanche K9 handling, avalanche control, and more. Our fast-growing Women’s Forum will take place once again; this year we will spend some time on-the-hill for the female patrollers only with a panel discussion in the afternoon to discuss inclusivity and its effect on the success of patrol teams – the afternoon session is open to all conference participants. Testing – Of course there will testing in all nine APP disciplines, which are required to receive full APP certification. New to testing? You can audit tests to better prepare yourself for the practical tests. If the self-satisfaction of passing tests doesn’t motivate you, the participant with the highest scores on the most tests during this clinic is nominated as the BCA Candidate of the Clinic and will win a BCA Float 27 Speed avalanche airbag, including an empty cylinder (Value: $830)! Sponsors – We have some amazing sponsors for this year’s Annual Conference, including Patagonia, BCA, Mountain Khakis, Wend Waxworks, Petzl, Truck Gloves, Coalition Snow, Skhoop, Skida, Psytle, KEEN footwear, Mystery Ranch, Panda Poles, Lily Trotters, GoggleSoc, SheJumps, Black Diamond Equipment, Edge Rescue, and more. There will also be equipment demos from BCA, Petzl, Coalition Snow, Deviation Skis, Volkl, and Edge Rescue toboggans. Join us and your fellow patrollers at the Association of Professional Patrollers Annual Conference to celebrate 50 years of education and professional certification and enjoy great skiing, great friends, and new opportunities!